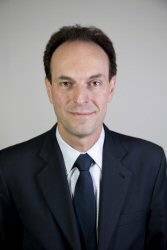 DB Schenker has announced the appointment of Philippe Gilbert to the position of Regional CEO, Americas, effective March 1, 2015. Gilbert joined DB Schenker Americas in March 2013 as Regional Director, Europe West, and has made a significant contribution to the company both strategically and financially over the last two years, the company said. Gilbert is taking over the CEO role from Heiner Murmann, who is retiring from that position but continuing his 20-year tenure with the company as a member of the Schenker AG global board of management, responsible for the Air and Ocean freight business unit. In 1994, Gilbert headed up the U.S. activities of Saga S.A. based in Houston. In 1999, he held several roles with EGL Circle International, where he worked in Houston, Sao Paulo and Paris. In 2005, he became Director, Overseas and Groupage, at Geodis Group in France. In 2008, he was named Executive Vice President and Chairman of Geodis Wilson Network.